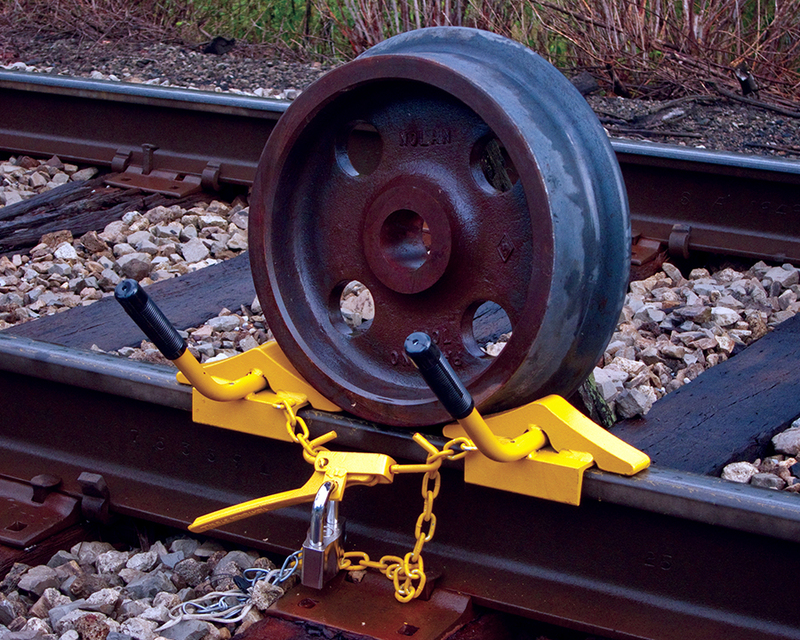 Nolan wheel chocks are used for fast, temporary blocking of all types of rail cars. Designed for use on grades less than one percent. All models fit 60 to 141 lbs. (27 to 64 kg) rails. Nolan’s wheel chocks fit wheel sizes: 30”, 33”, 36”, 40”, and 42”.